Mayumi Kanagawa is a Japanese-American violinist currently studying at the Hochschule für Musik “hanns eisler” Berlin with Kolja Blacher. Recipient of both the second and best concerto prizes at the 2018 Long-Thibaud Crespin competition in Paris, she is also the first prize winner of the 2016 Princess Astrid Competition in Trondheim, 2013 Jascha Heifetz Competition in Vilnius, and the 2011 Irving M. Klein Competition in San Francisco. Mayumi has soloed with many orchestras including the Prague Radio Symphony Orchestra, Mariinsky Orchestra, Deutsche Kammerphilharmonie Bremen, Finnish Radio Symphony Orchestra, Lithuanian National Symphony, among others. This season will see her debut with the Belgian National Symphony and Hugh Wolff, as well as return to the Lithuanian National Orchestra. Mayumi has a unique talent for communicating her love and joy of music making, in varied repertoire and venues. She is described as an open and virtuosic musician with a rare effortlessness in her playing, where the audience leaves the concert hall energized and inspired. 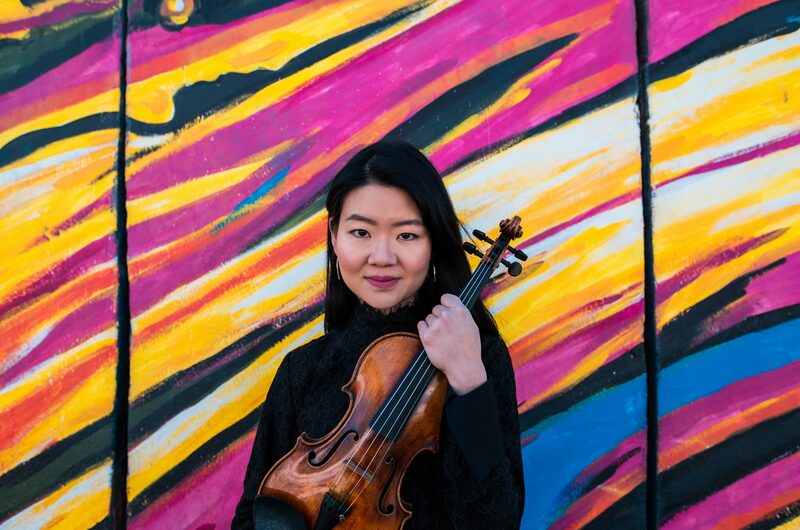 Chamber music and outreach programs have brought Mayumi to the Trans-Siberian festival, Verbier festival, Chanel Pygmalion chamber music series in Japan, and TONALi tours throughout Germany. Mayumi’s former teachers include Yoshiko Nakura, Masao Kawasaki in the Juilliard Pre-College division, and Robert Lipsett at the Colburn School. Mayumi performs on a Petrus Guarnerius (Mantua, late 17th century) violin, on generous loan from the Deutsche Musikinstrumentenfond of the Deutsch Stiftung Musikleben.